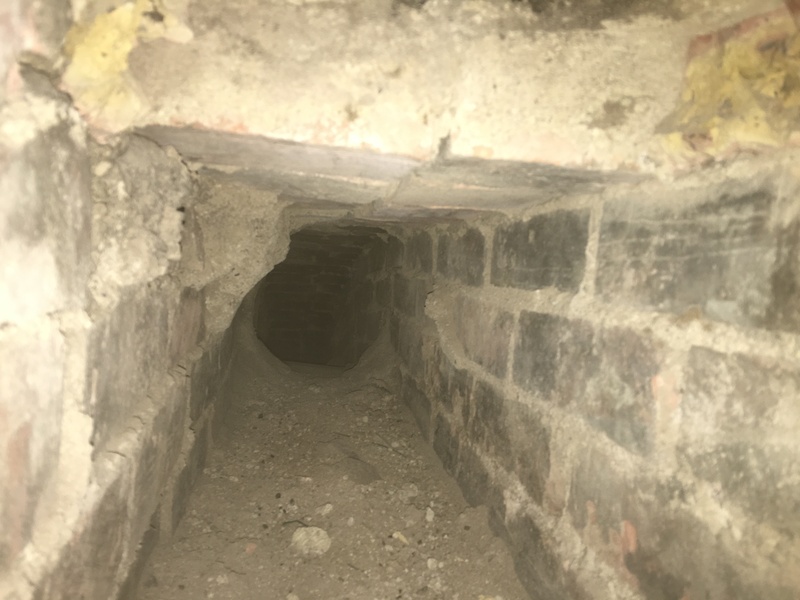 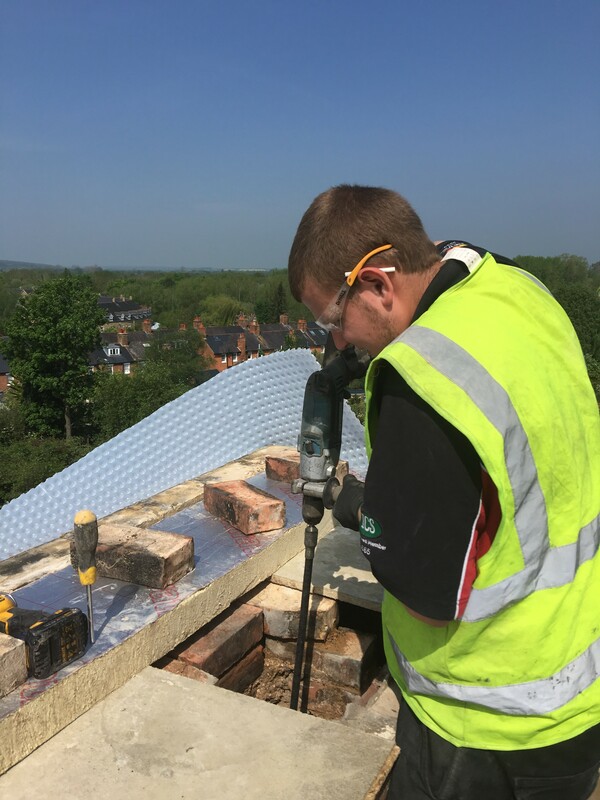 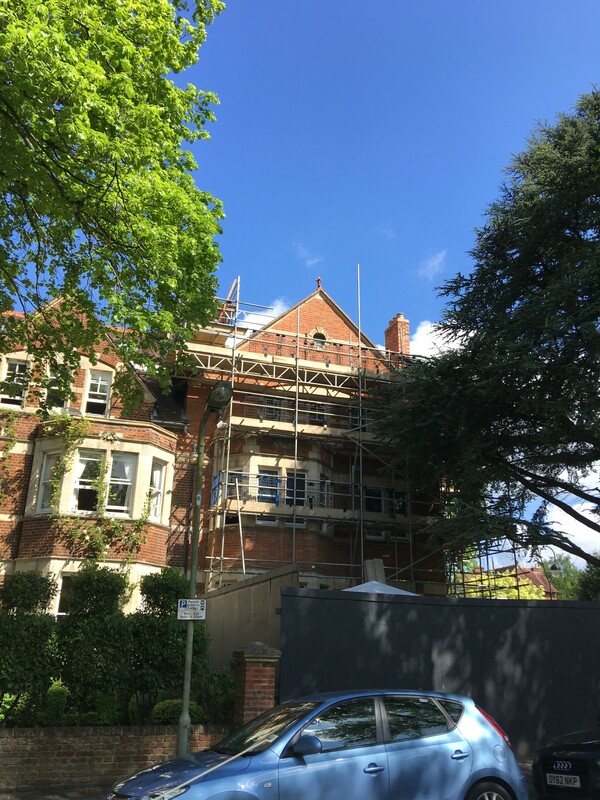 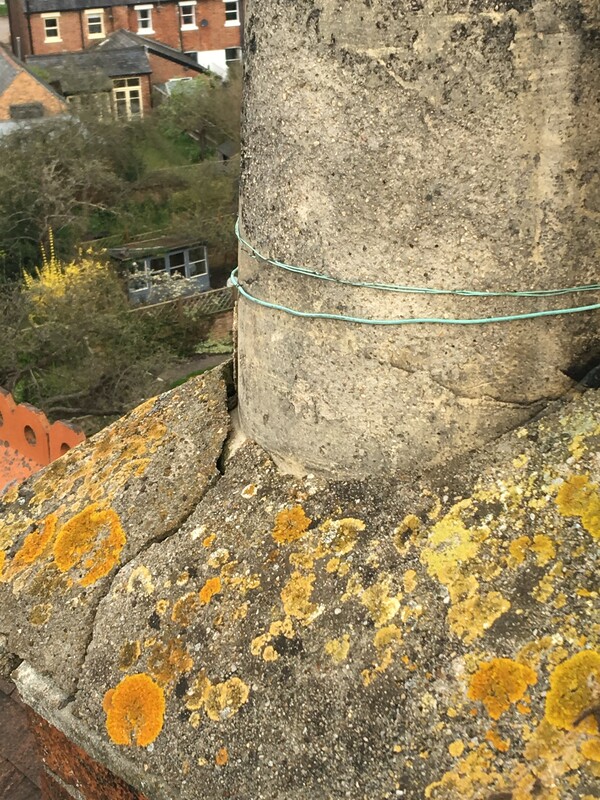 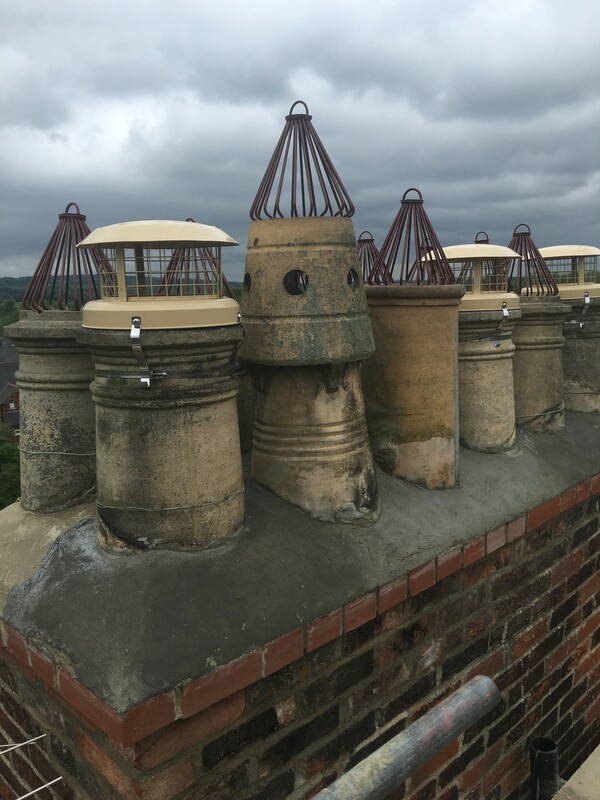 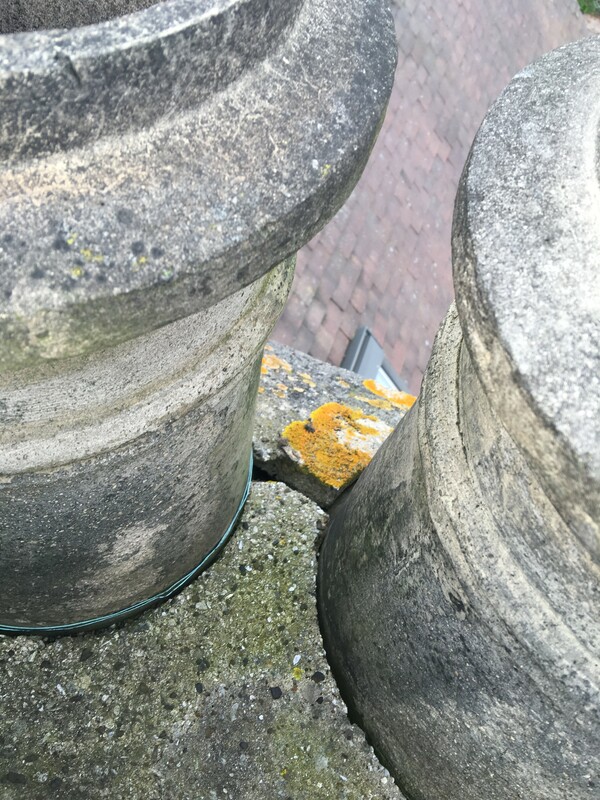 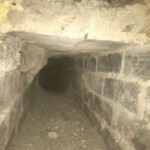 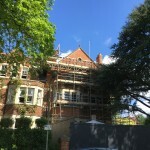 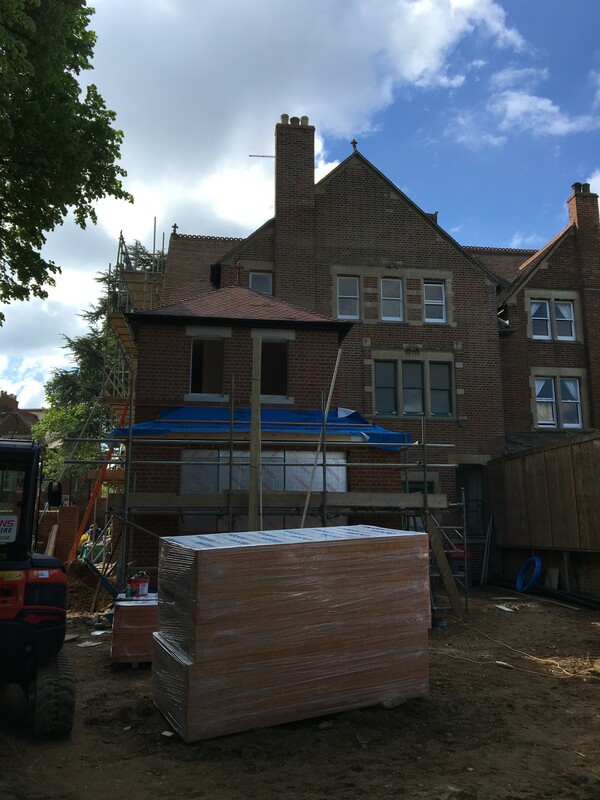 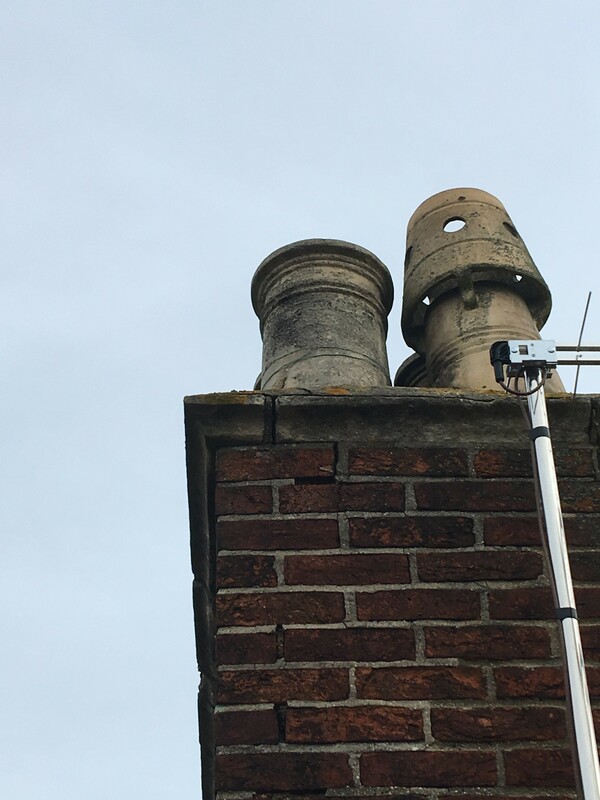 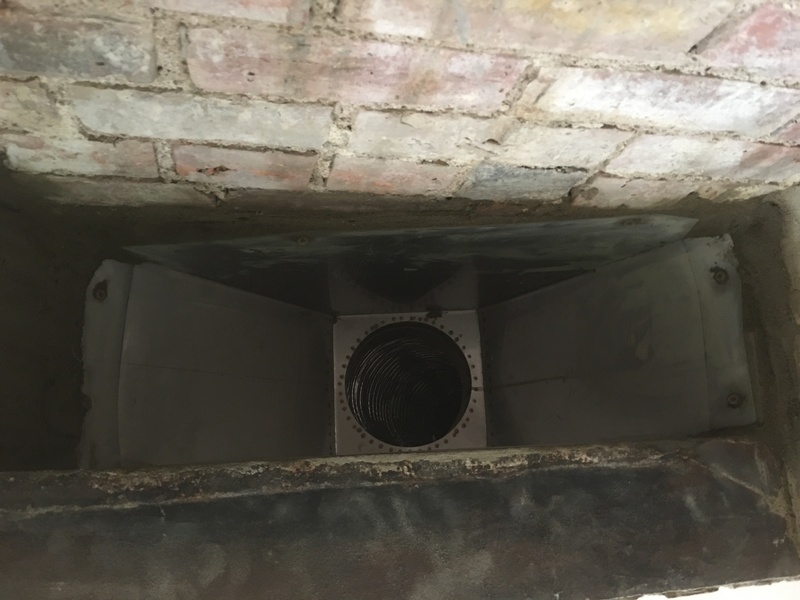 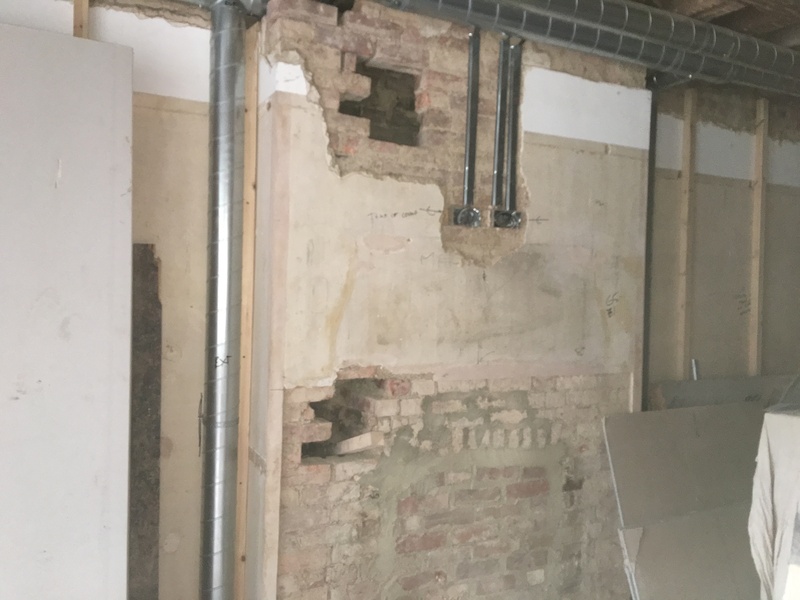 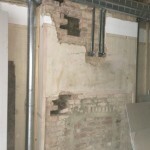 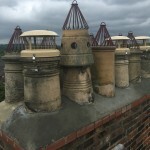 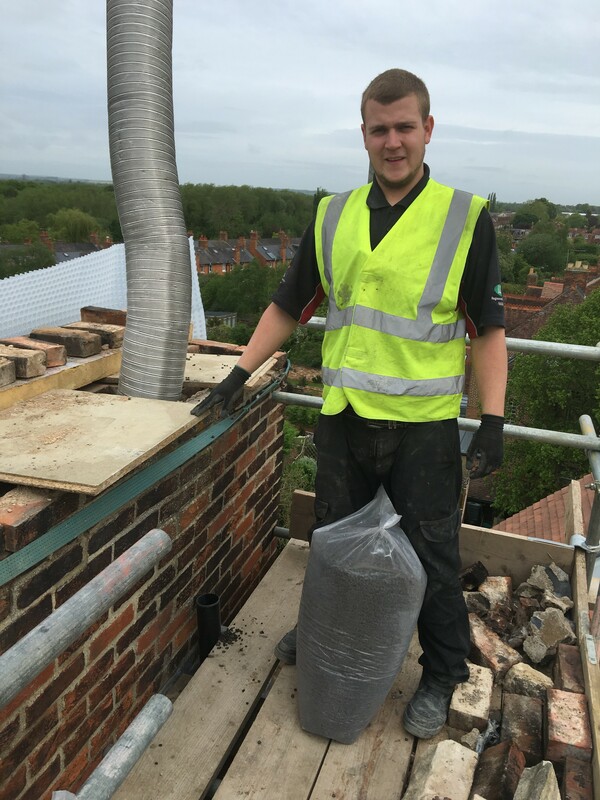 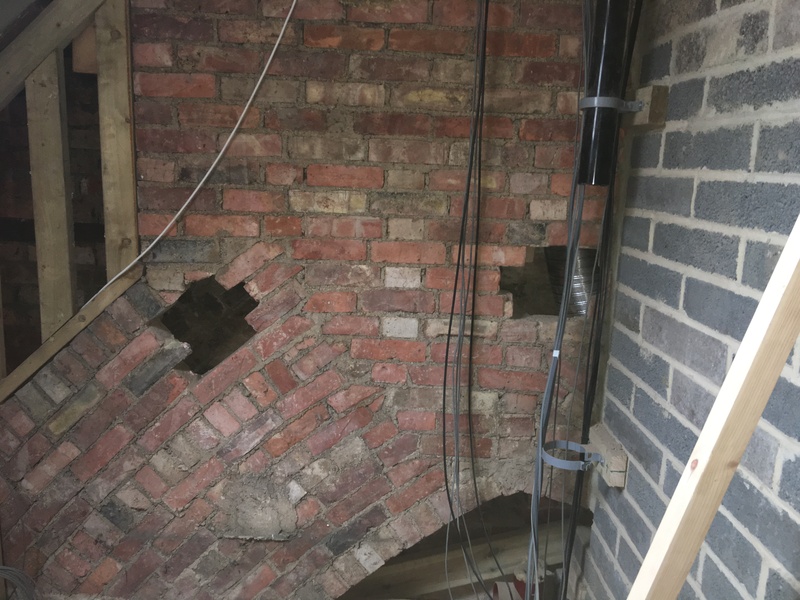 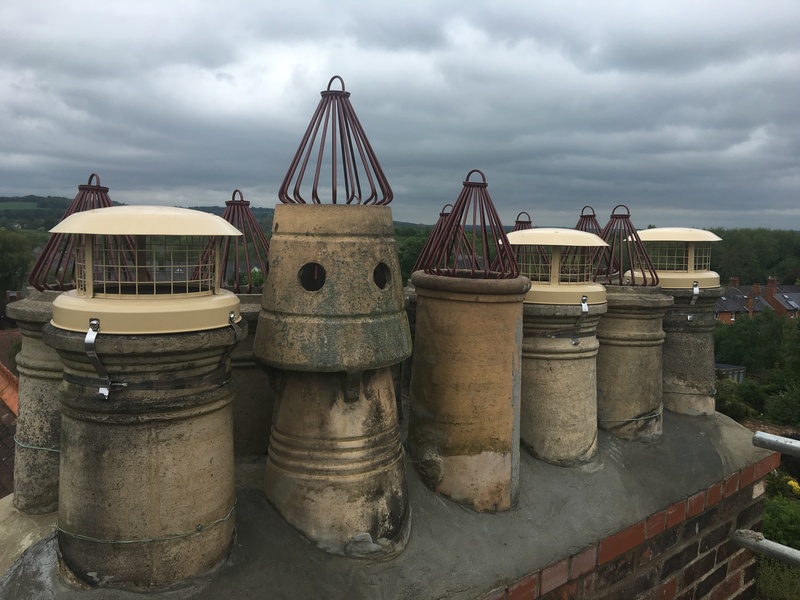 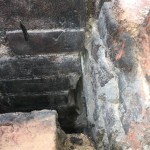 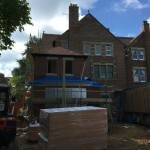 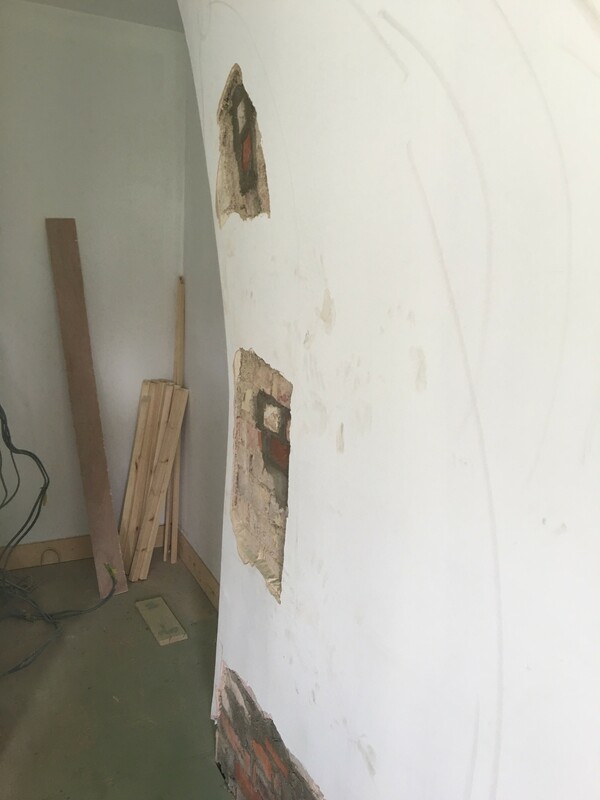 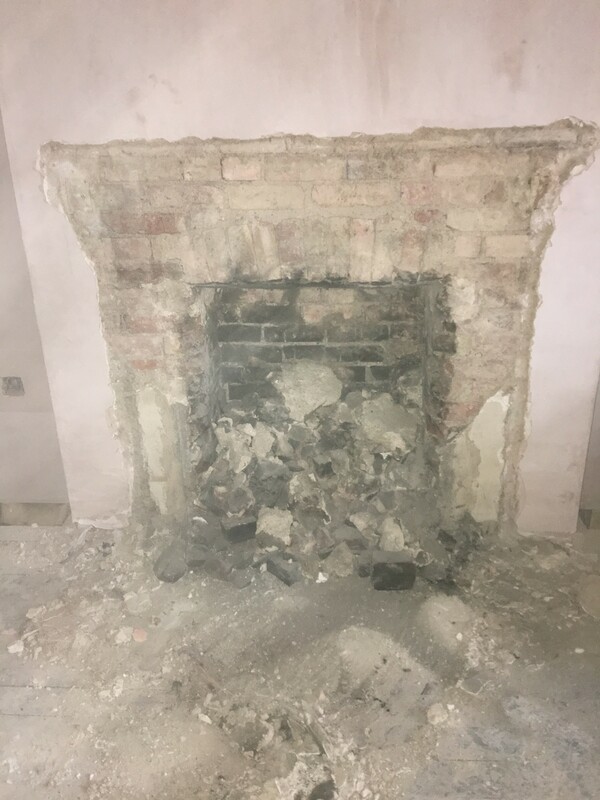 Once again we were contacted by one of our regular building contractors (Dighton developments) who use us for all their installs, This was one house being split in to two & owner wanted open fires added to existing chimneys, 2 in one house & 1 in the other, but requested to have as much of the original surrounds kept, so we set about gently removing original surrounds, & inserts without damaging any of the delicate tiles. 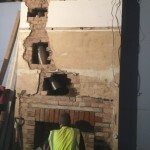 Things progressed & changed regularly throughout the installations with architect & owner changing designs & usages day by day !! 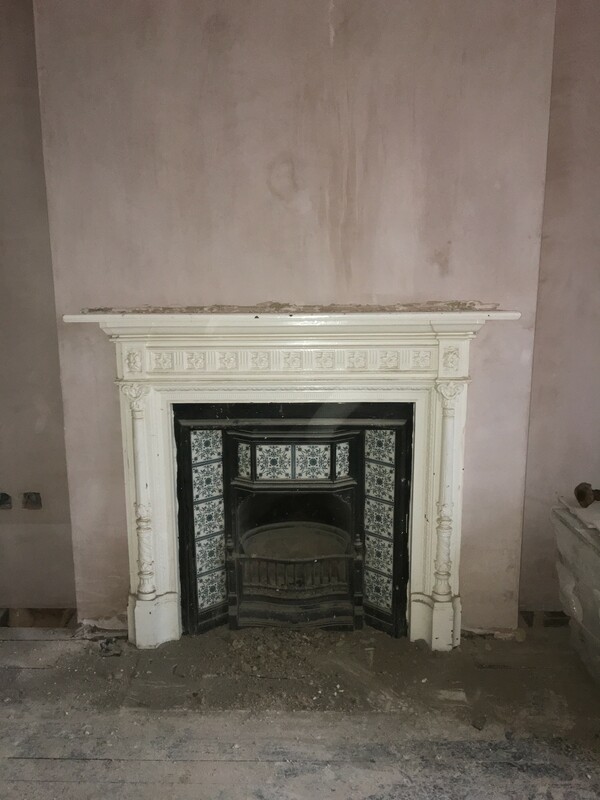 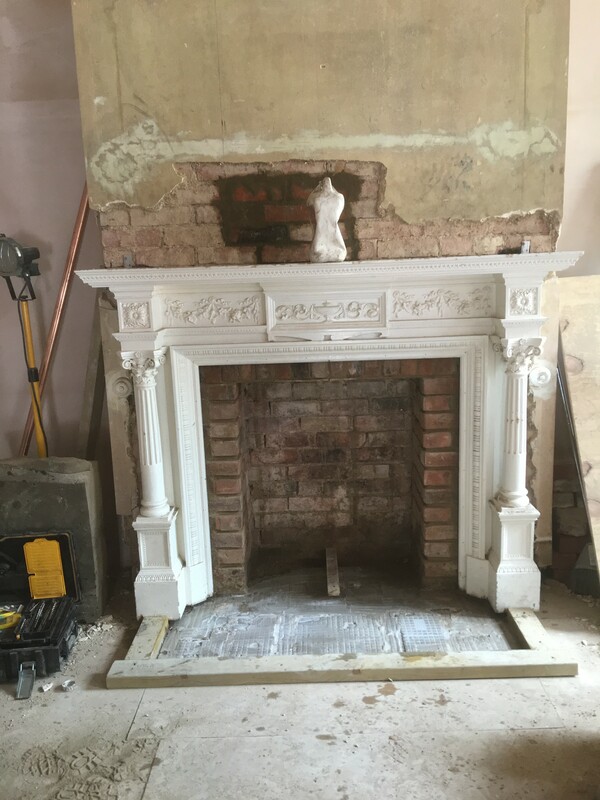 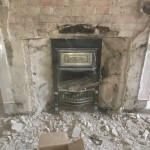 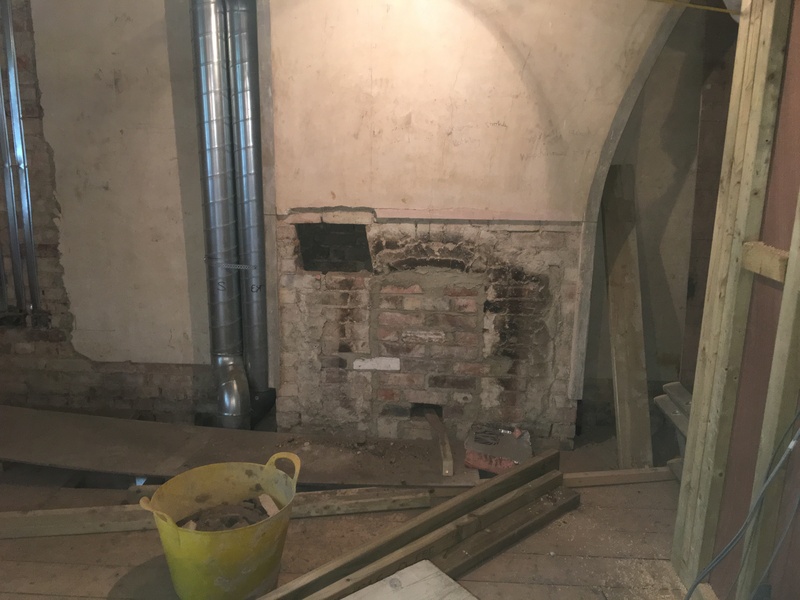 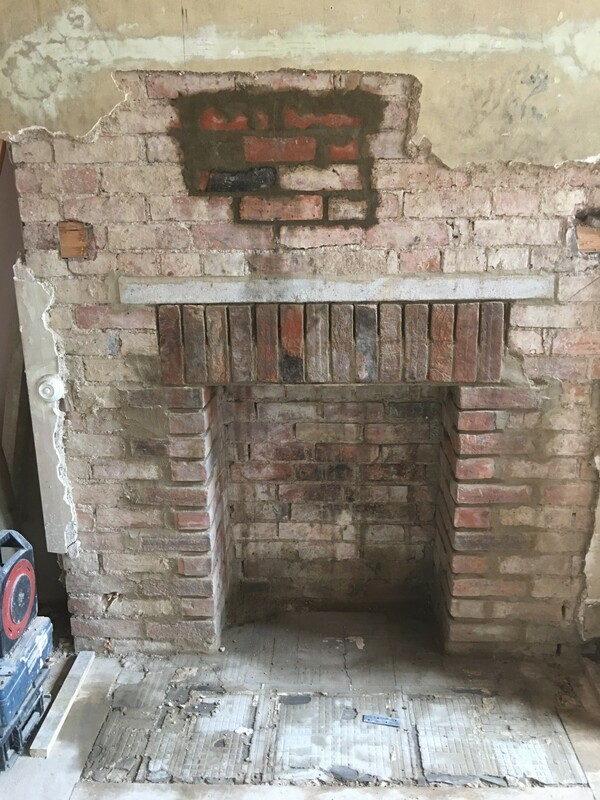 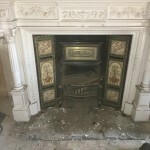 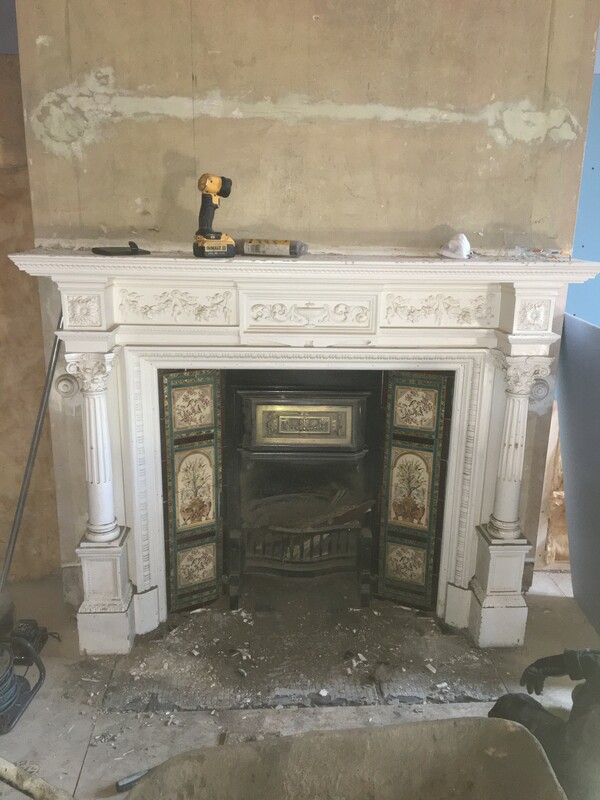 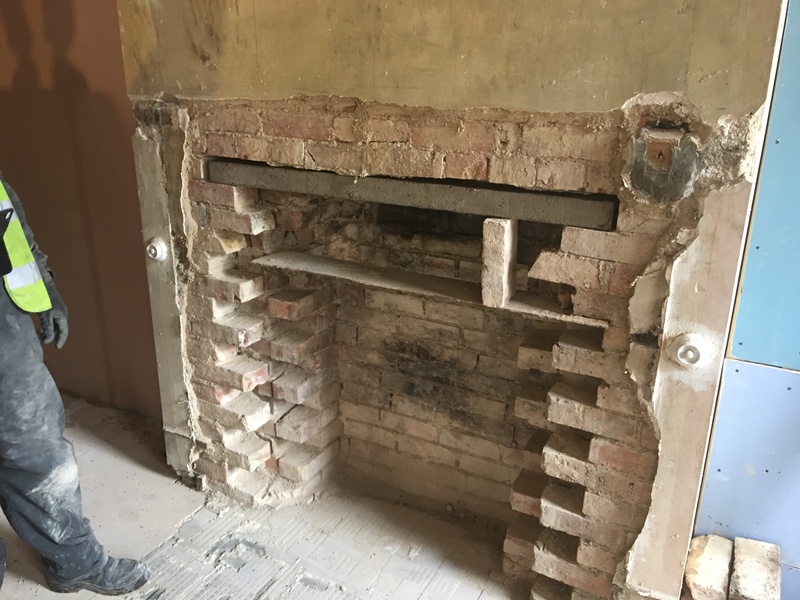 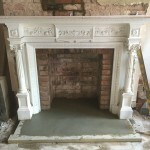 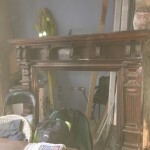 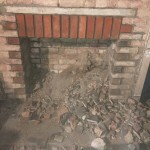 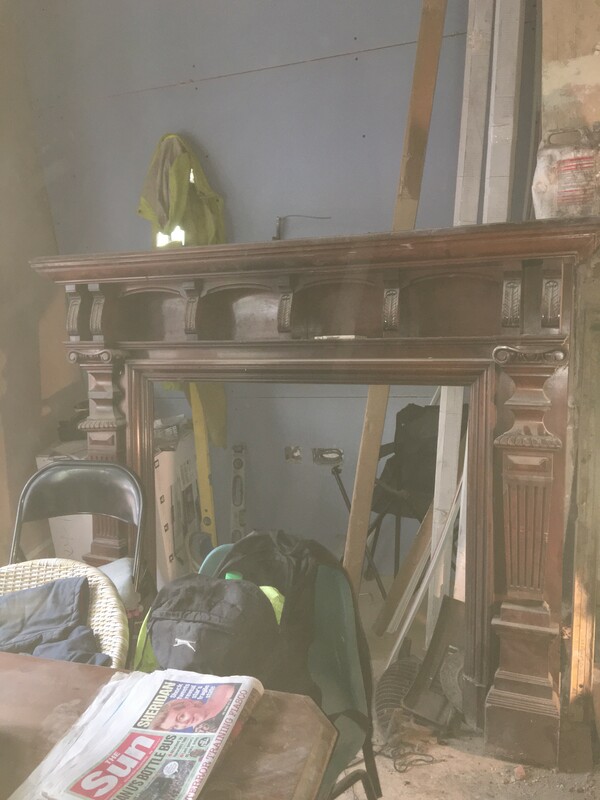 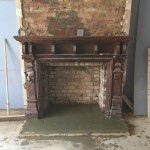 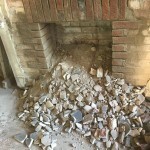 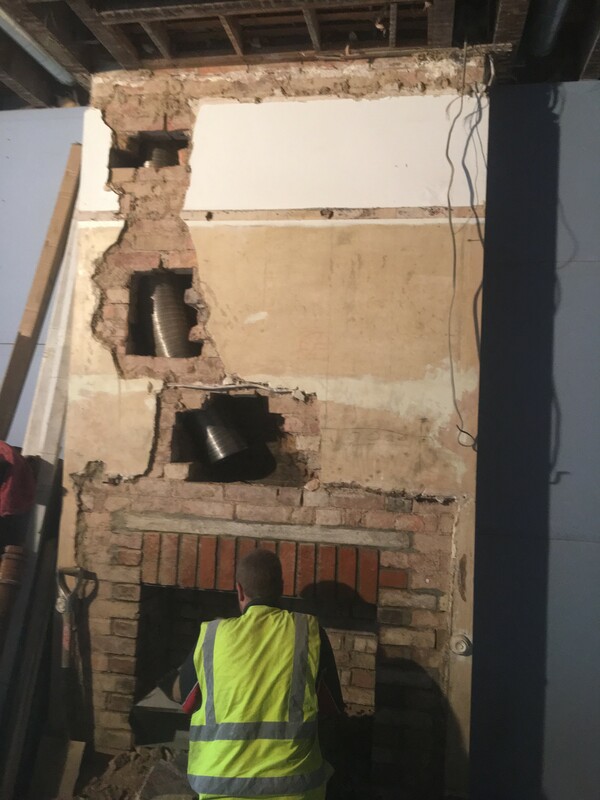 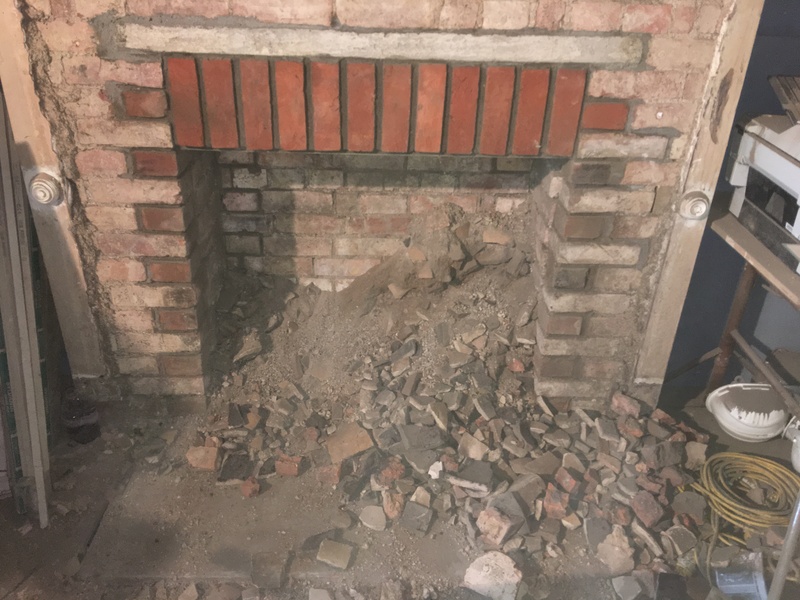 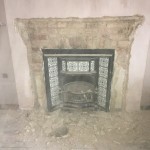 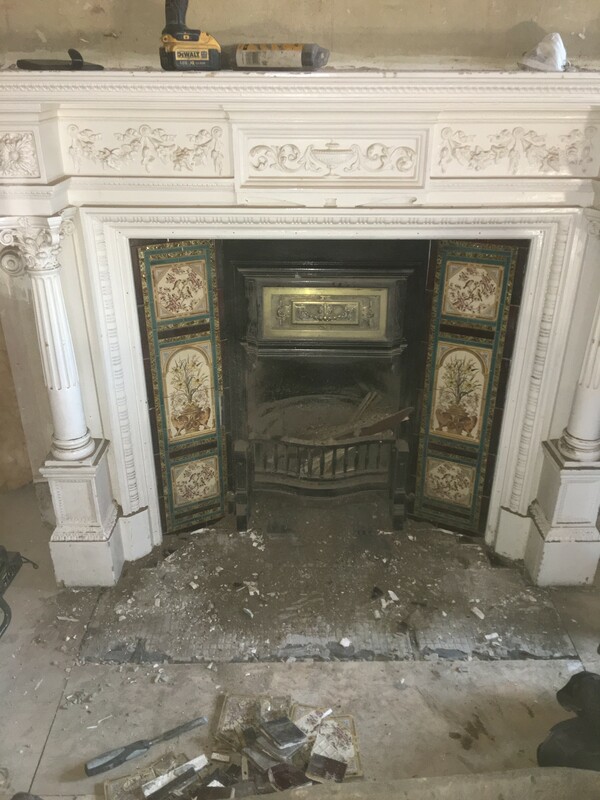 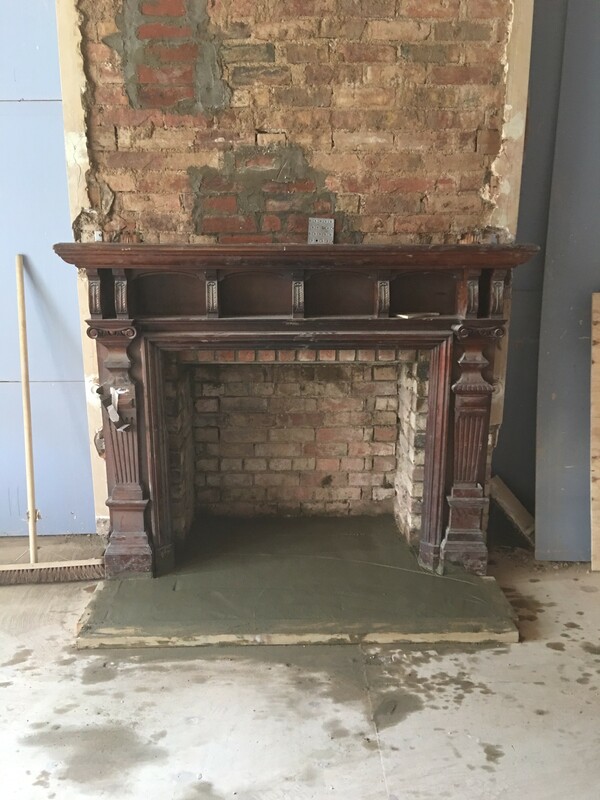 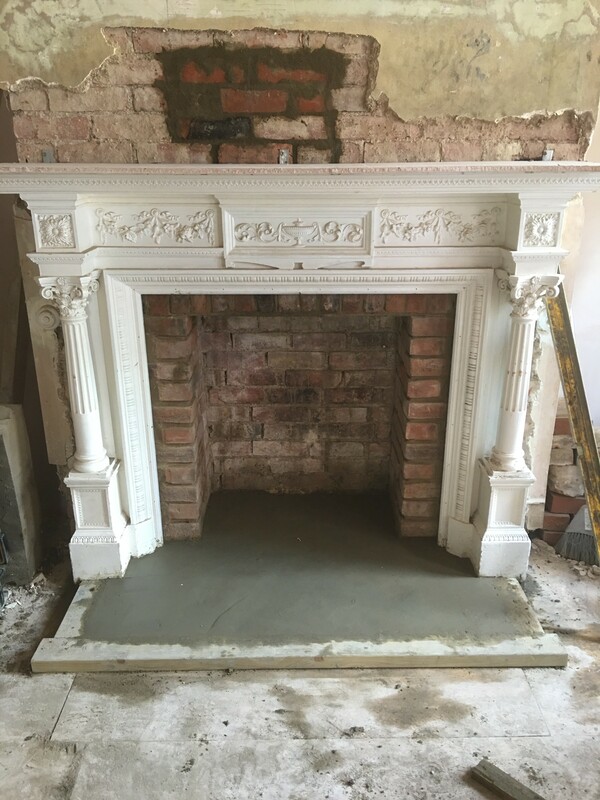 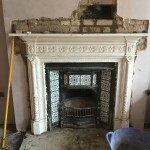 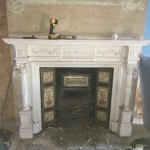 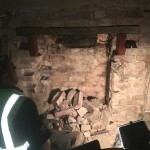 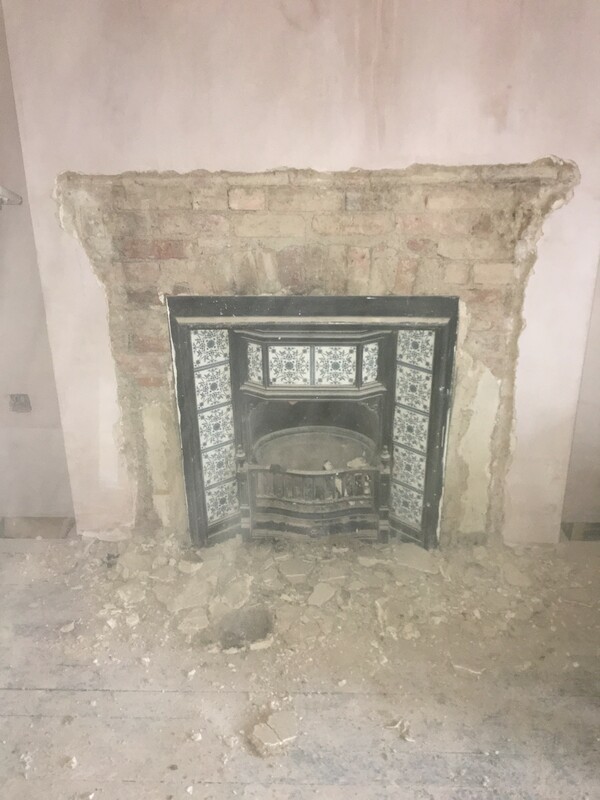 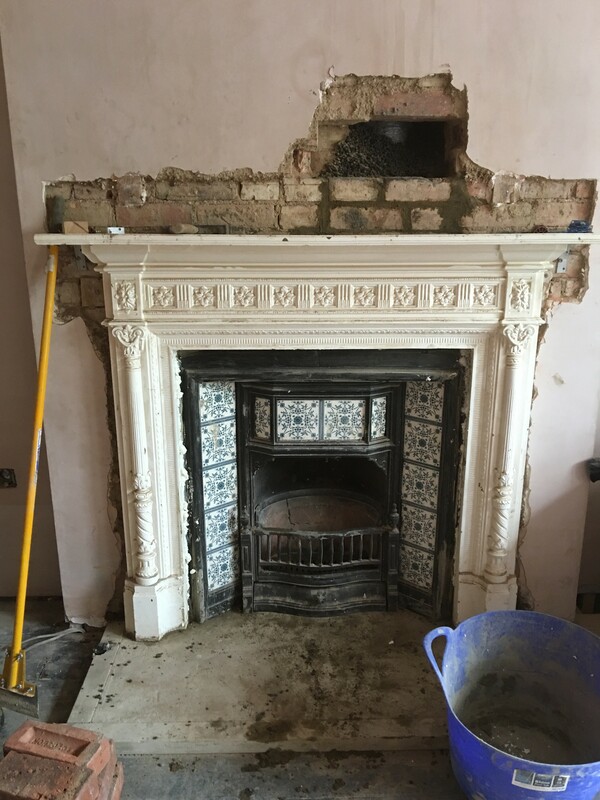 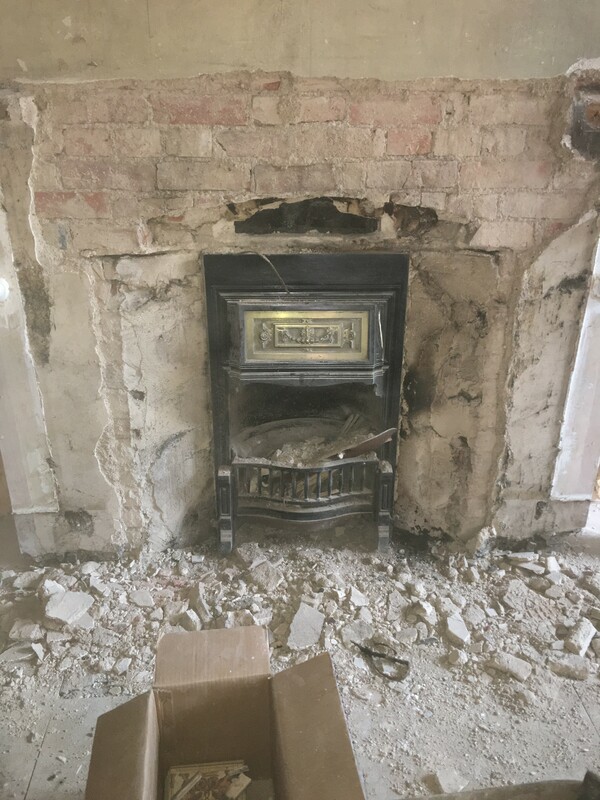 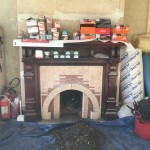 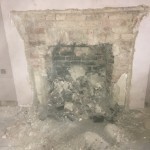 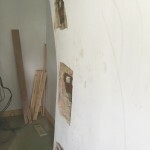 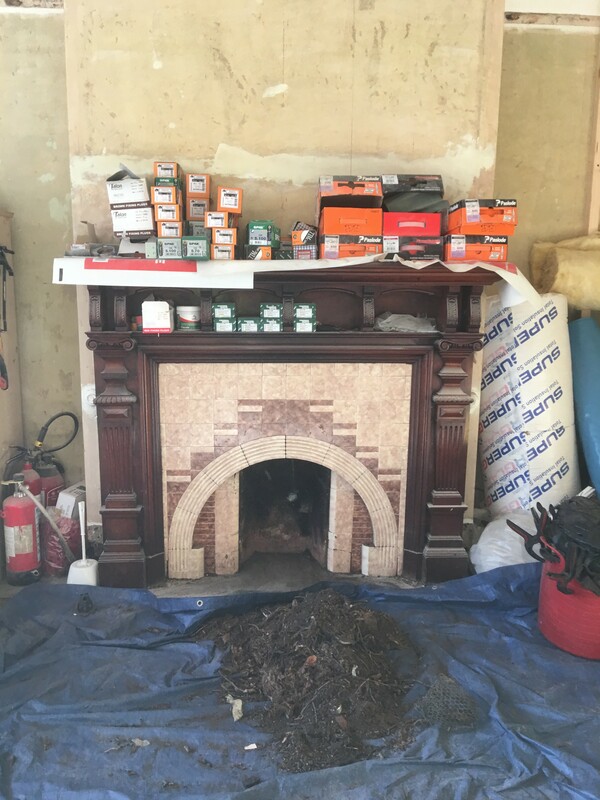 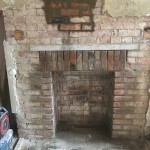 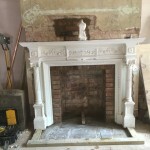 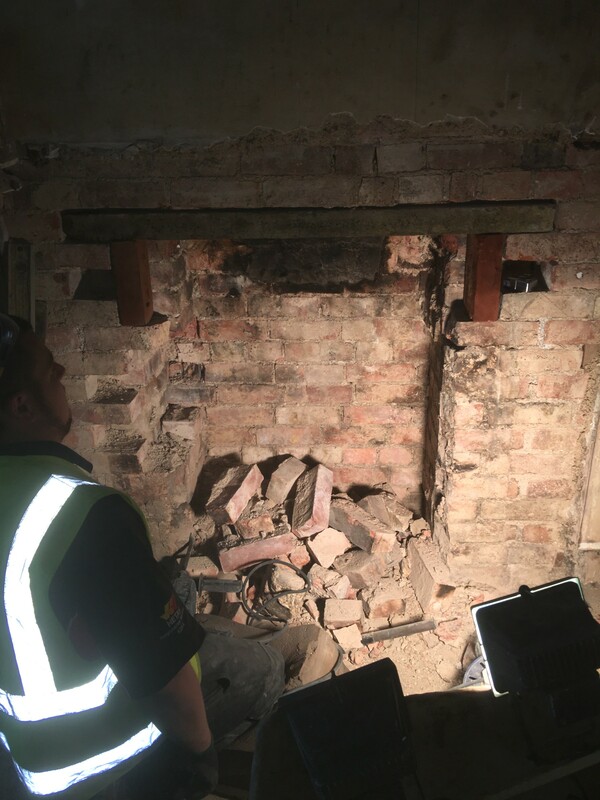 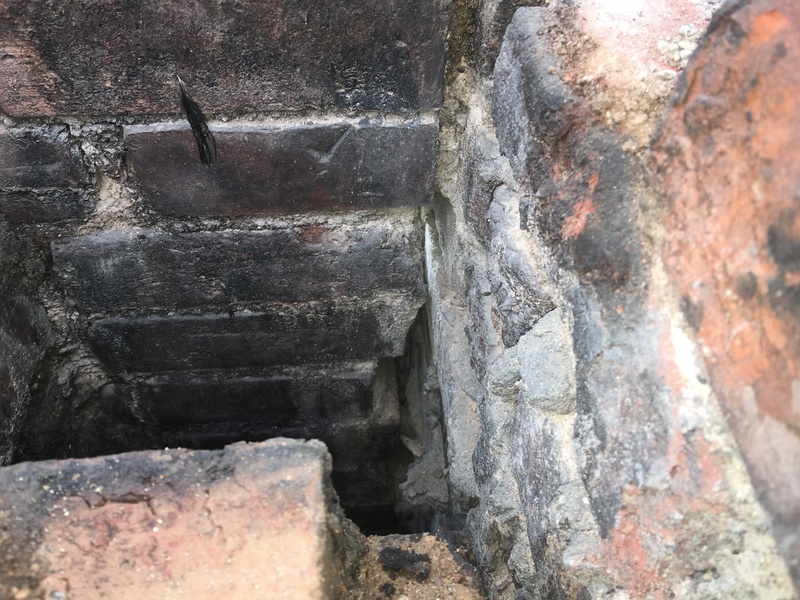 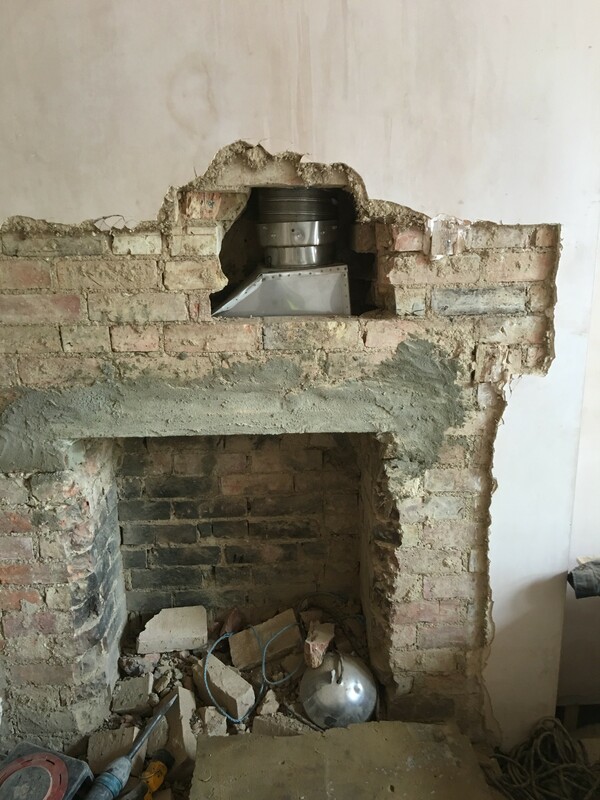 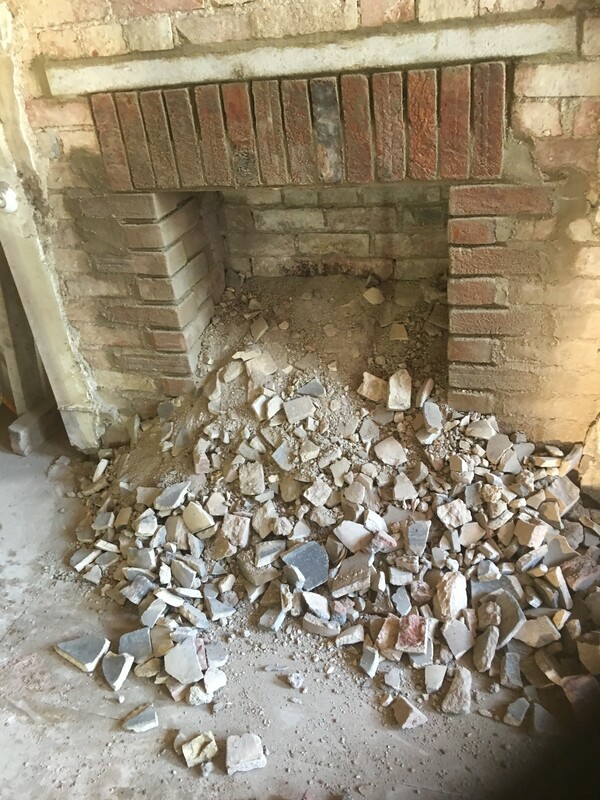 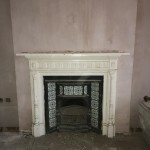 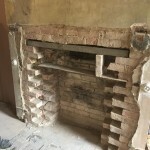 So we started with the master bedroom open fire by removing the surround & insert, this fire was going to have a woodburning stove installed by that changed to a large open fire & back to original with cast & tiled insert but this time being converted to gas. 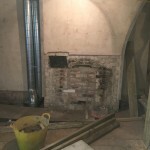 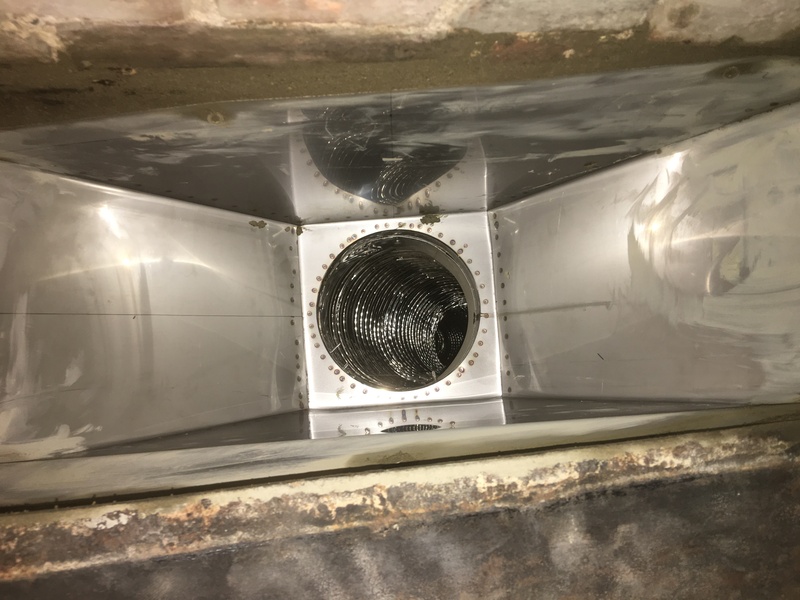 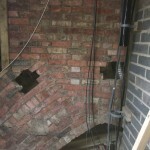 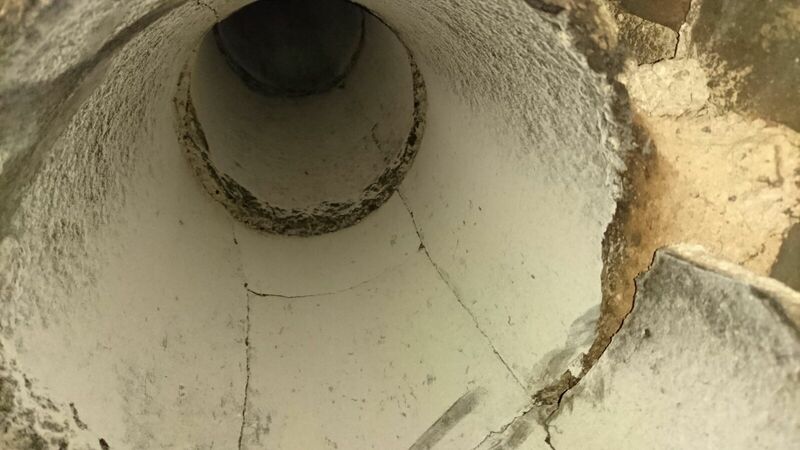 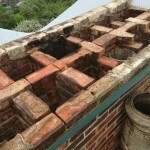 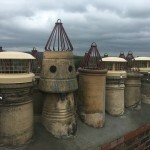 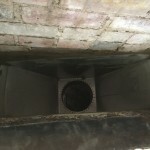 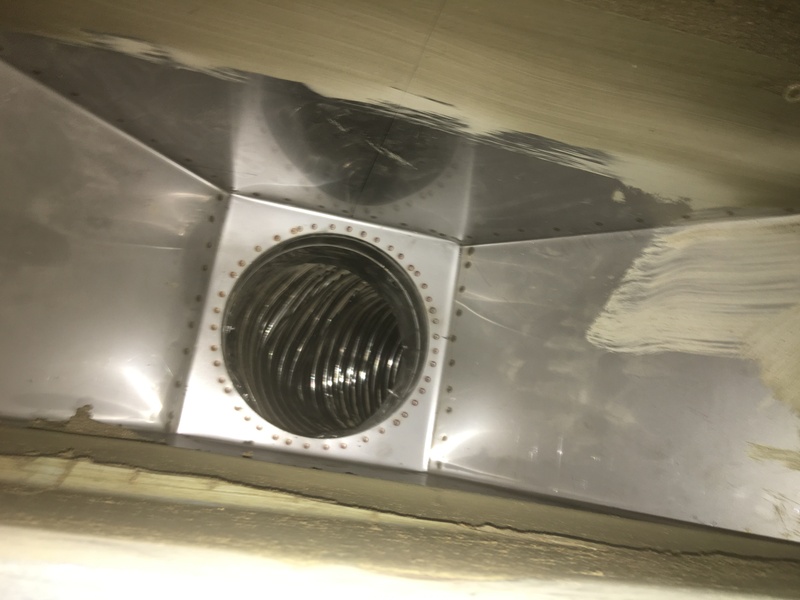 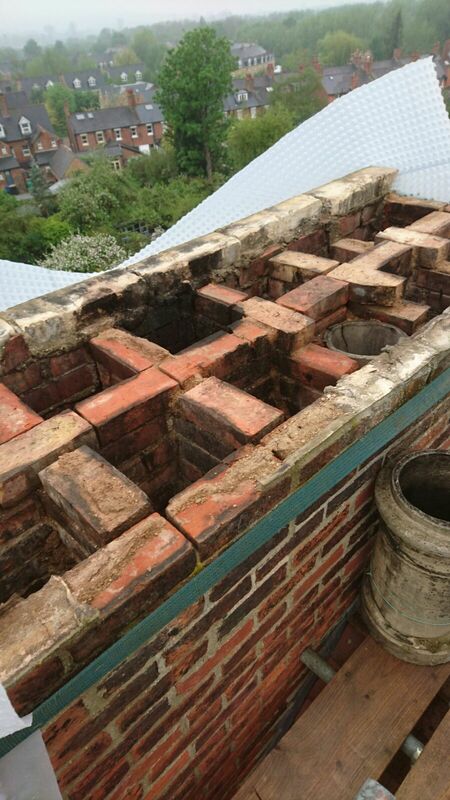 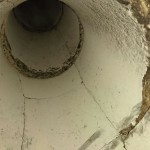 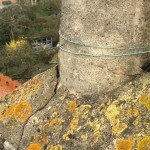 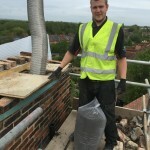 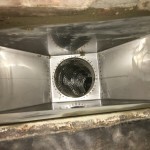 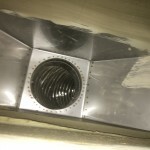 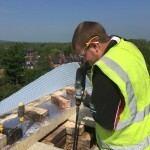 we had to smash clay liner out of the chimney stack for room to get the 200mm liner installed but also required breaking through upper floor chimney breast & walls to allow liner past sharp bends, unfortunately this also meant dismantling & breaking through the new installed tiled bathroom upstairs also (Ouch) we installed the liner to new bespoke made stainless steel gather,fully insulated with volcanic balls, we installed new concrete lintel, reinstalled original cast insert & surround with a concrete hearth, hearth to have original tiles saved from other parts of the house inlaid at later date & gas pipework completed by in house gas & plumbing engineers under floorboards. 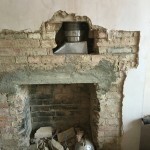 Owner liked the way the rear sitting room open fire looked & requested the same for the other property front sitting room fireplace to be removed & installed to match, again we removed surround & widened the opening, installing concrete lintel & installing new brick finished insert edge, we again had to break through all the walls & chimney breasts in rooms above to allow us to get liner down, again this was connected to a bespoke stainless steel gather & backfilled with volcanic rock balls, poured concrete hearth to be tiled at later date with original tiles & re secure original surround to wall. 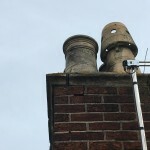 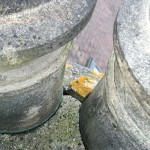 After we had finished the fireplaces inside we rebuilt top layers of the chimney stack inserting reinforcing bars to help hold it together also as this is a shared chimney we had to close off all neighbours fireplaces to prevent debris entering her house & remove her pots & re install with the rest of the stack & re flaunch cement render to hold pots in place, we installed raintop cowls to used fires & bird guards to pots not in use to prevent birds entering.